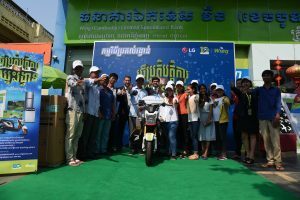 Phnom Penh, 25 January 2019 – Wing (Cambodia) Limited Specialised Bank and SOHO Diversified Group of Companies (SOHO) today created history with their new Mastercard product, empowering the unbanked population in Cambodia with access to shopping rewards without having to own a bank account. 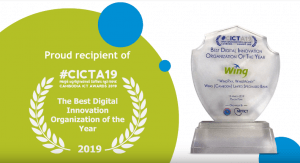 This is made possible with the tripartite association of Wing, Mastercard and the new entrant to the cause of Financial Inclusion in Cambodia, SOHO Diversified Group of Companies. 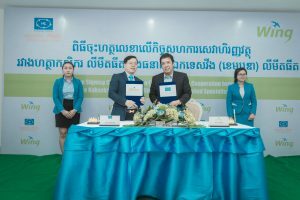 Having received huge support from Cambodian customers for its chain of concept retail stores, SOHO, together with Wing and Mastercard, is extending a world-class shopping rewards experience to Cambodia’s unbanked with its Wing SOHO Club Mastercard. Cambodia’s first-ever co-branded Mastercard will allow anyone who owns a Wing SOHO Club Mastercard to gain entry to a new world of cashless shopping and rewards using the Wing Wallet. This would mean that, in addition to using the Wing SOHO Club Mastercard to shop at SOHO’s globally-recognised brands, such as Havaianas, Birkenstock, Swatch and Crocs, as well as Bonchon, customers can use the Wing SOHO Club Mastercard to eat, drink, and shop at over 8,000 other Mastercard merchants in Cambodia, as well as thousands more abroad. 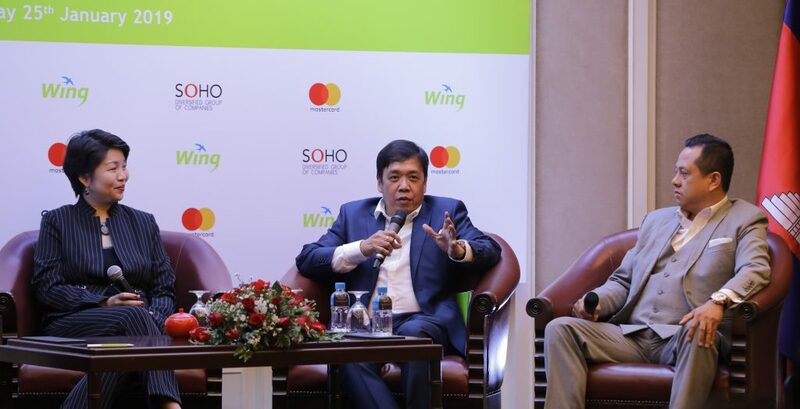 Wing’s Chief Executive Officer, Mr. Jojo Malolos, said the Wing SOHO Club Mastercard will introduce every Cambodian to the world of digital shopping & rewards, right here in Cambodia and around the world, through their Wing Accounts. Every Cambodian who has a Wing Account will now be able to link their Wing Wallets to the newly-launched Wing SOHO Club Mastercard and indulge in local as well as world-class shopping, dining and travelling experiences. This new product is expected to attract millions of young millennials in Cambodia who have a high interest in shopping, but do not own a bank account, to be able to shop anywhere, by subscribing to the Wing SOHO Club Mastercard and by installing the Wing Money App on their smartphone. 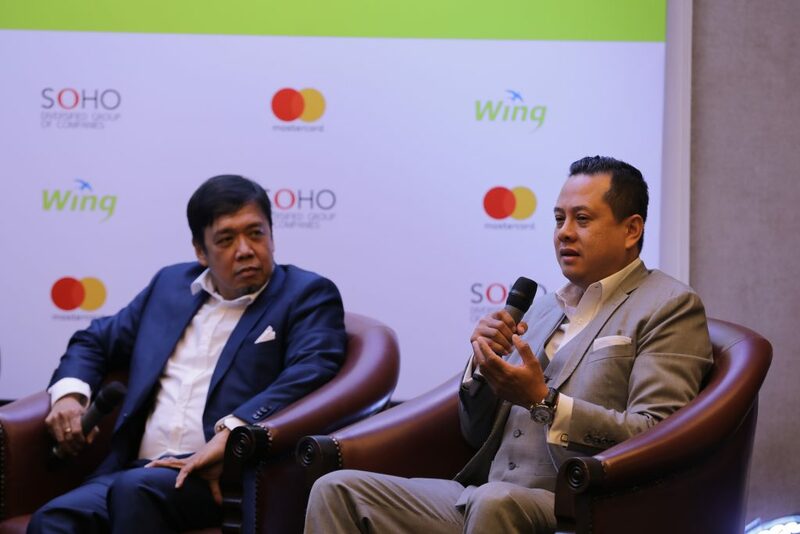 “We are confident that the Wing SOHO Club Mastercard will receive a lot of support in the market, considering the popularity of the SOHO group’s retail stores and the benefits and privileges it provides. In addition, thousands of our existing customers who are actively using the Wing Online Mastercard launched last year, can now upgrade themselves to the Wing SOHO Club Mastercard and have the same world-class shopping experience anywhere in the world. 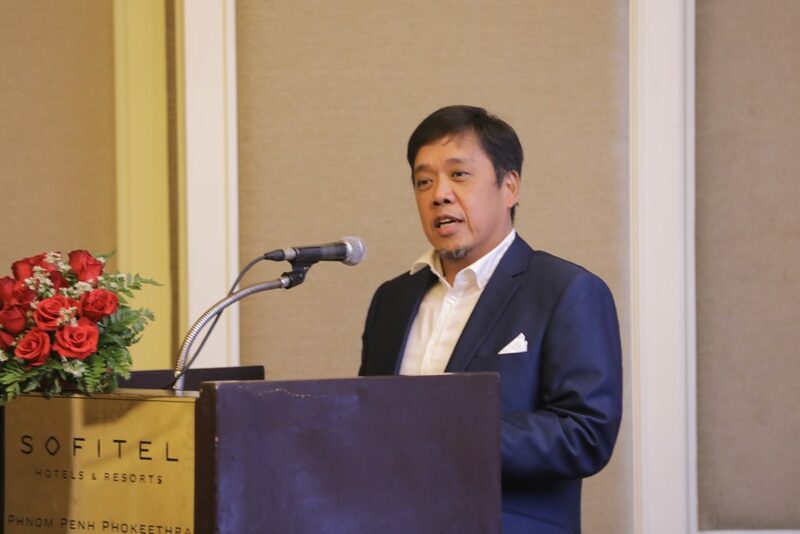 We believe that more and more customers who have been trusting Wing’s products and services will totally support the Wing SOHO Club Mastercard,” said Mr. Malolos. Mr. Henry Horn, the Chairman and Managing Director of SOHO Diversified Group of Companies, said that this new product will open the gates of a world-class shopping & rewards experience to millions of Cambodians through their Wing Wallet. Mr. Horn said he has no doubt there will be a quick uptake of the Wing SOHO Club Mastercard given the seamless and joyful shopping experience it brings through SOHO’s wide variety of lifestyle stores and restaurants in Cambodia. “Wing SOHO Club Mastercard customers will be able to enjoy attractive cash-back rewards, as well as discounts and other special promotions, when they opt for using the card at any of the SOHO brand outlets, be they retail stores or the rooftop sky bar, Rokku” said Mr. Horn, adding that the idea behind the Wing SOHO Club Mastercard is to provide appreciation to SOHO’s existing and future customers for their continued support at the company’s outlets. SOHO’s customers who subscribe to the Wing SOHO Club Mastercard will receive 1 loyalty point reward for every $1 payment made with this card – which can be accumulated and claimed at a later date for bigger rewards. 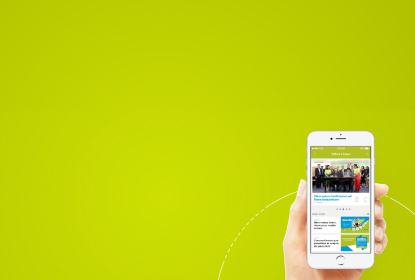 In addition, customers will receive a 20% discount on their first purchase with the card, followed by a 10% discount on subsequent purchases within the first year of their membership. The launch of the Wing SOHO Club Mastercard, available for the customers by February 01, 2019, comes five months after Wing and SOHO Diversified Group of Companies entered into an agreement to accept Wing’s QR payment service, WingPay, as well as Wing’s international payment gateway including AliPay, WeChat Pay and the first Mastercard QR.